For more information on Kalman estimators, see the kalman reference page. rlqg = lqgreg(kest,k,controls) handles estimators that have access to additional deterministic known plant inputs ud. The index vector controls then specifies which estimator inputs are the controls u, and the resulting LQG regulator rlqg has ud and y as inputs (see the next figure). Always use positive feedback to connect the LQG regulator to the plant. See the example LQG Regulation: Rolling Mill Case Study. lqgreg forms the linear-quadratic-Gaussian (LQG) regulator by connecting the Kalman estimator designed with kalman and the optimal state-feedback gain designed with lqr, dlqr, or lqry. The LQG regulator minimizes some quadratic cost function that trades off regulation performance and control effort. This regulator is dynamic and relies on noisy output measurements to generate the regulating commands. where y is the vector of plant output measurements (see kalman for background and notation). The following diagram shows this dynamic regulator in relation to the plant. is causal only when I-KMD is invertible (see kalman for the notation). 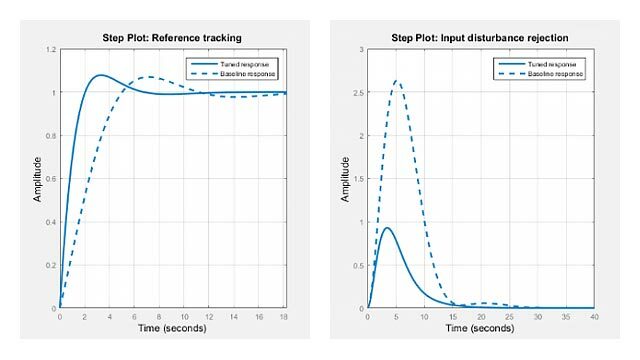 In addition, practical implementations of the current regulator should allow for the processing time required to compute u[n] after the measurements y[n] become available (this amounts to a time delay in the feedback loop). connecting the "current" Kalman estimator to the LQR gain is optimal only when and y[n] does not depend on w[n] (H = 0). If these conditions are not satisfied, compute the optimal LQG controller using lqg.